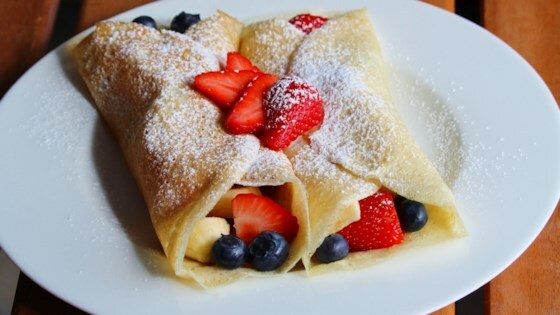 Watch how to make these 5-star crepes. This was a great, easy recipe...I just think it was a bit too eggy for me. I screwed up and left out the butter and these were STILL great. (I might continue to make them this way, to be a little healthier).